Checking one of my email inboxes this morning (I have several) made my heart race and my head spin. Hundreds of messages all related to BLACK FRIDAY. 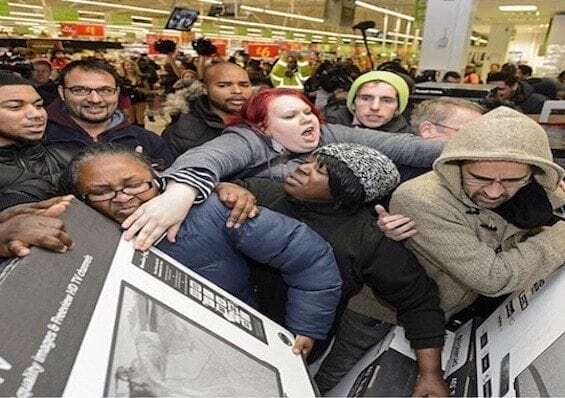 Then I checked my news feed and the blaring headlines and accompanying photo made me slightly nauseous: Full-grown, visually mature adults fighting over TVs at Walmart. Look, I’m all for saving money, which should come as no surprise. But there has to be a better way. 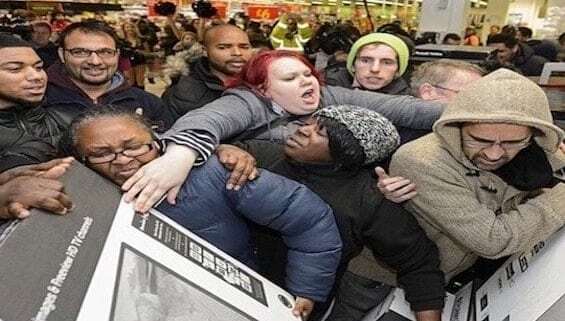 I don’t know if it’s my self-inflicted aversion to crowded malls and stores (a story for another time) or my inner rebellious self, but this is a day that kinda’ makes me want to pull the covers up over my head with instructions to wake me when it’s over. Better yet, I believe I’ll turn on some lovely holiday music and enjoy the day by getting the house all dressed up for Christmas! Which brings me to the subject of today’s post, which admittedly has nothing to do with Black Friday (thank goodness!) 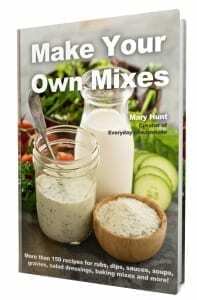 or even Christmas unless this sparks for you, a very practical homemade gift idea: how to make your own mixes. They’re convenient and tasty, but have you ever considered the high cost of your favorite prepared mixes and spices? In less time than it takes you to run to the market to pick up a box of Rice-a-Roni or Shake‘N Bake, you can make it yourself, and save a bundle in the process. 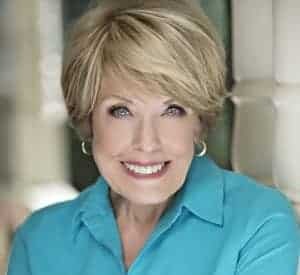 With each of these “copycat” recipes, I’ve indicated the price of the “real thing” (with all of its mystery and often unpronounceable ingredients) in my grocery store as I write. It’s difficult to say for sure what these recipes will cost by comparison because there are so many variables, but I can assure you it’s pennies, not dollars! Combine all ingredients. Store in tight fitting container. About 5 tablespoons of mix equal one 1.25-ounce package. To make Onion Dip: Mix 5 tablespoons with one pint (16 oz.) sour cream. The real thing: $1.67 for a 2-oz. packet! Shake or stir dry mixture well. Store in airtight container. Place 1 cup mix and 2 tablespoons butter or margarine in a heavy saucepan with 2 1/4 cups water. Bring to a boil. Cover and reduce heat. Simmer for 15 minutes or until rice is tender. Shake 2-1/2 pounds bone-in chicken or 2 pounds boneless skinless chicken breast halves, moistened—1 to 2 pieces at a time—in a plastic bag with this coating mixture. Discard any remaining mixture and bag. Bake at 400 F in ungreased or foil-lined baking pan until cooked through: Bone-In: 45 minutes. Boneless: 20 minutes. Do not cover or turn chicken during baking. Yield: This recipe will coat a good-sized chicken or several fish filets. The real thing: $2.99 for 4.5 oz. box, or $.67 per oz. Mix together and store in a tightly covered container. Be sure to yell “BAM!” when dispensing onto everything from meat and poultry to vegetables and side dishes. The real thing: $3.79 for a 2.8 oz. bottle, or $1.35 per ounce. Question: What other “recipes” like these would you like to see? Let me know in the comments HERE and I’ll do my best to come up with them in a future post. Cutting Through the Hype to Find Some Decent Cyber Monday Deals!